During the Easter break the Library will be opened for Self-Service only. 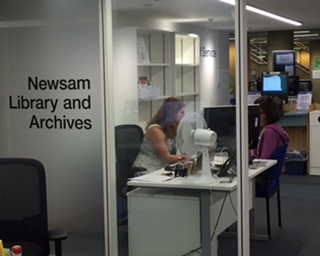 The Exam Period opening hours applies, when visiting the Library you must be carrying a valid UCL Library ID card, or UCL Student ID card or UCL Staff ID card. Applying for UCL Library Visitor card - during busy periods it will take us one working day to make new UCL Library Visitor cards for external visitors. So long as you bring the correct proof of credentials to indicate status & eligibility for library use with you, we will give you a paper ticket on your first visit giving you immediate reference access. If you would like your full UCL Library Visitor card made on your first visit (for example if you need to borrow books immediately) please email ioe.librarymembership@ucl.ac.uk giving us one full working day notice and we will pre-prepare your registration when possible to enable you to get your library card on your first visit. Anyone can use the library on payment of a fee. Free membership is also available to some categories of users. Please check the Reference Membership and External Borrowing Membership tabs of this guide to find out more about our Membership policy. Library HelpLine handles telephone, email and Twitter enquiries.